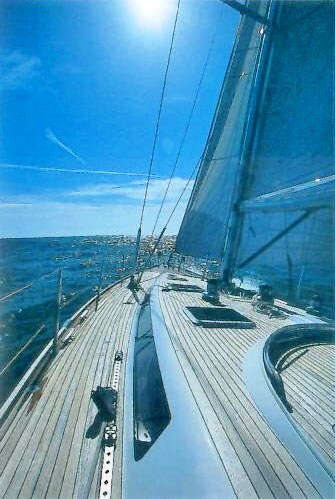 S/Y FARBAY is a 21.89m (71' 9") Southern Wind sloop rigged sailing yacht with naval architecture by Bruce Farr and interior design by Antonio Minniti. 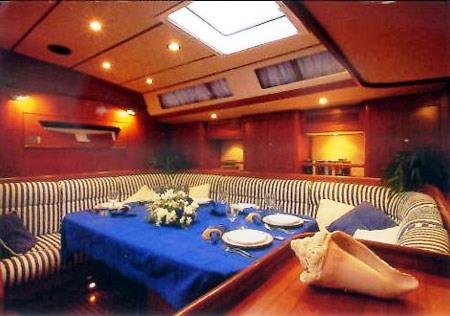 She is able to accommodate up to 6 charter guests in 3 cabins. 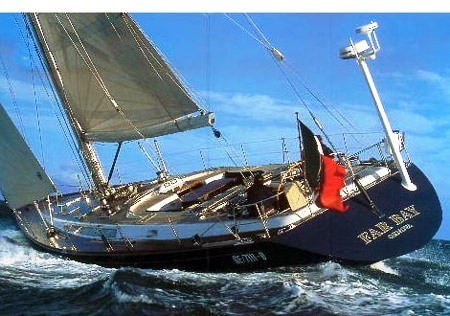 Great sailing performance and luxurious comfort combine to make FAR BAY a yacht of true distinction. 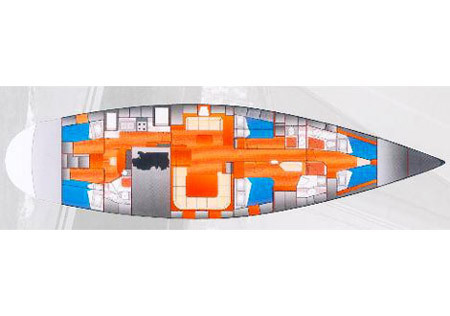 Designed by the famous yacht designer Bruce Farr, this sloop will delight the most passionate yachtsman. Her functional design and quality furnishings are further enhanced by renowned Italian craftsmanship and elegance. 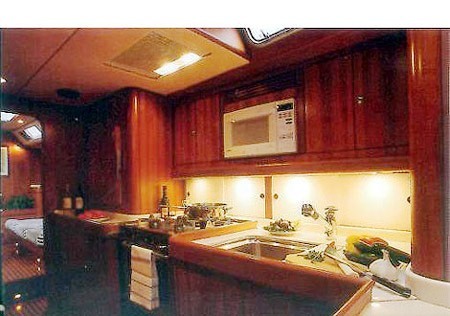 FAR BAY has comfort among as her top priority, which is evident in her furnished and air conditioned quarters. The salon seats eight guests comfortably around a large and elegant dining table and offers a second seating area for relaxing. 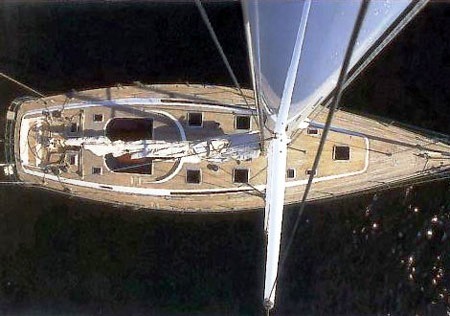 The traditional wood finish adds to the sailing yacht’s already abundant charm. On deck, the emphasis is on simplicity and performance. 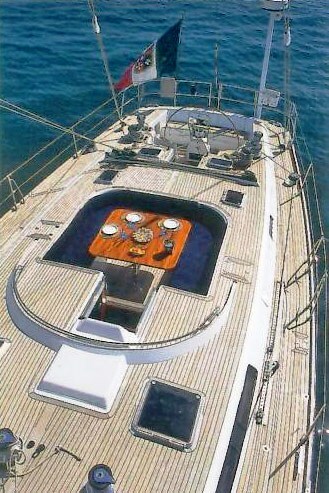 The separate steering cockpit allows guests to relax without being disturbed while the boat is cruising. 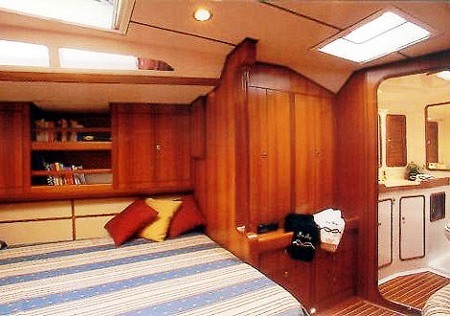 Her generous sleeping accommodation includes three cabins each with private bath. 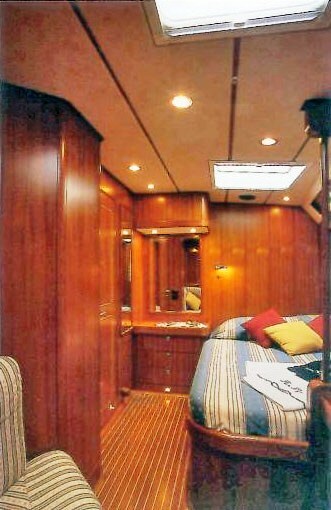 There are two cabins with double bed, including one large master cabin and other cabin with twin beds in the forepeak, providing plenty of space for everyone. FARBAY offers unequalled beauty and romance. You will enjoy quality and service on board. Let FAR BAY ensure that you'll have an unforgettable sailing vacation.